Manny Pacquiao is like SuperMan. He seems to seamlessly transcend time. At the age of 39, he’ll be once again fighting for the WBA welterweight belt. We should call him SuperManny, instead of Pac-Man. Oscar De La Hoya Put out the tweets on April 2nd confirming that it is “signed, sealed, and delivered.” Lucas Matthysse will be putting his welterweight belt on the line Saturday, July 14th in Kuala Lumpur, Malaysia. Las Vegas and online powerhouses such as 5dimes have already released betting odds and have Manny as a substantial favorite. Early lines have Pacquiao at -230 (1.435) and the Argentinian at +170 (2.700). Make sure to check 5dimes for latest odds closer to the fight date. Pac-Man is an 8-division world champion and for the last 16 or so years, one thing has remained constant in all of Pacquiao’s fights, Roach was in his corner. Apparently, Freddy Roach’s statements concerning Manny in an interview last July have left Manny less than pleased. In lieu of Roach, Pacquiao’s long-time friend, Buboy Fernandez will be handling the training and coaching for the July 12th showdown against Lucas Matthysse. There really shouldn’t be an issue with the change. Because in a lot of ways nothing has changed. Buboy is the paradigm of Manny Pacquiao’s training camps and has been in his corner for all of Pac-Man’s 67 professional fights. Camp will definitely be different with the absence of Roach, but it isn’t a paradigm shift. There is a level of continuity with Buboy stepping in that has me feeling that Pacquiao won’t miss a beat. 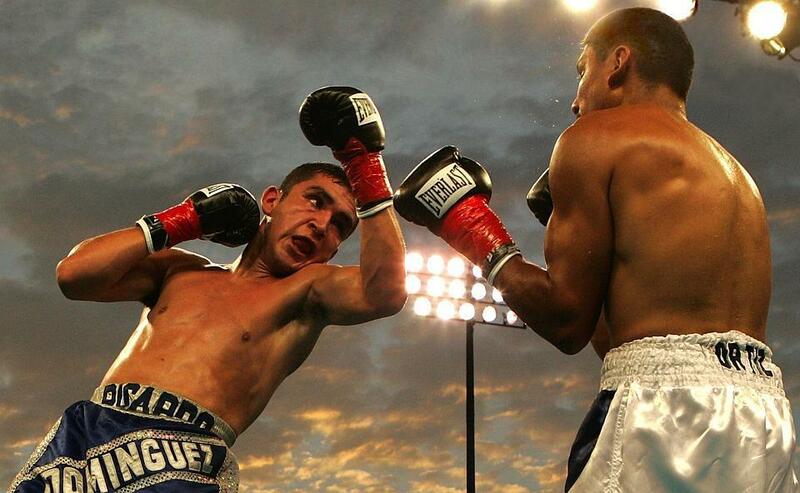 The Argentinian favors the aggressive ‘pressure’ style of boxing that utilizes his power. His trainer, Joel Diaz stated that stylistically, it’s an interesting matchup and should provide for a great fight. Both fighters are a little bit outside of their prime, but Matthysse still has a lot of power, he showed that in his 8th round KO victory of Tewa Kiram, and Pacquiao is still shifty with a lot of speed. Diaz is no stranger to training for Pac-Man. He prepared Bradley for two of his bouts against Pacquiao. And admittedly, Joel Diaz said that he will have to have a much different game plan with Lucas Matthysse because Timothy Bradley was a better [fundamental] boxer. Another notable thing about Diaz is that he stated in an interview back in March that in case the fight goes forward, he was already looking for young, fast lefties with similar styles to Pac-Man to throw in the ring for sparring matches against Matthysse. So, the Argentinian should come to the July bout well prepared, and we know Manny always comes ready. Diaz further stated that Pacquiao should not be underestimated. Garcia also stated that he has been a good champion and he still has power, but he just doesn’t look like the fighter of old. And if the hunger isn’t there because in his mind he is already retired, he could be in trouble. Because Pacquiao will feel the hunger again. He has a chance to become world champion again. I can’t say for sure if Pac-Man will be able to knock Lucas out … but he has a definite hometown advantage fighting in Malaysia. This is a fight Pac-Man can, and most likely will win … be it by points or laying Lucas low in Lumpur. The Wonder Woman: Mary Kom’s Another Gold at Asian Women’s Boxing Championship!! The proud Indian woman boxer is back again with her yet another latest achievement of a gold medal. With this medal, she won her fifth Asian Boxing Championships title by beating Hyang Mi Kim from Korea on Nov 8, 2017. On that fierce final contest of Ho Chi Min, Mary Kom came up as a winner with 5-0 unanimous decision. However, if you want to enjoy the next thrilling match of this astounding Asian woman boxer directly live then don’t forget to grab the lucrative deals from Dealslands while buying the tickets. This website offers some of the really stupendous discount offers on entertainment tickets. Moreover, undoubtedly, in this match, 35-years old Mary Kom met with her most aggressive opponent till date. But, at the same time, she was certainly up for the energetic fight! You might have noticed in her earlier bouts that the opening three minutes were always covered in measuring up the rival. But, this time, both the boxers were certainly lunging at each other from the very first moment and they arose with their full potential within a few seconds of the bell going off. Also, Mary Kom successfully scored for her ringcraft in this match with some of the finest footwork which outpaced Hyang Mi at various complicated junctures. Although there was not even a single power-hitting seen in the match still the contest was definitely an astoundingly engaging one where the boxers’ absolutely fast-paced punches kept the viewers full of thrill throughout the match. Further, the North Korean was not relentless even with her left hooks but the Manipuri also fought back with all her skills and didn’t allow herself to be rattled at all. Even, Mary Kom didn’t stop to score on with her stout combination blows throughout the match. This was definitely the first international gold medal for this excellent Indian woman boxer since the Asian Games of 2014. But, it can be surely said that with this Wednesday’s triumph, Mary Kom has kept her fantastic record absolutely intact. She was able to win gold medals previously in 2003, 2005, 2010, and 2012. After her this wonderful victory, Mary Kom stated that she is amazingly pleased with the way how this championship went off. She further added that she would be more than happy to dedicate this victory to all her supporters who showed immense love when the whole world was writing against her. Also, she thanked her coaching staff for their tireless hard-work that they have done over the last a few months. The talented and potent Mary Kom made India really proud this time with a gold in the Asian boxing championship. On her such a glorious victory, Prime Minister of India Narendra Modi and the Sports Minister of the country who is none but the renowned Rajyavardhan Singh Rathode tweeted with their congratulations messages. Some people are so engrossed in issues of the WWE that they start seeing life as meaningless if they do not experience matches for a very long time. However, it may come to you as a shock that some of these people do not even have knowledge of the basic WWE rules and principles. It is good to let the fans understand that in most cases, the WWE matches come with a predetermined outcome. The question now is whether this affects the WWE betting predictions. Many people say that this knowledge simply erodes the fun and enigma aspect of the show. But even if the entire world understands that there is already a determined outcome, lovers of the game will still troupe to the venues to watch that which has been pre-determined. The referee of the matches actually acts as both the prop for the match and the man who communicates between the organizers of the show and the wrestlers. It is the referee that informs the wrestlers of the type of finish desired by the organizers and when the match should be concluded. When it comes to the moves performed in the ring, they are all very real and can even get the wrestlers injured. That is why people are warned seriously never to try those moves at home. One of the basic facts about the wrestling rules is that they are highly inconsistent. The rules could be disregarded, changed, broken at will or even made up on the spot. Now, you just have to understand that whenever the referee looks the other way (which he is most likely going to do on many occasions in any match), anything goes. Wrestling betting is one of the most difficult. However, one area it is a bit easier and simpler is in predicting the winner of games and how they will win. The number one method of winning a wrestling match is by pinfall. This could be through a one-fall or three-fall. When you talk about a one fall, you are talking about one who has their shoulder pinned to the mat till the count of three. After the third count, the person loses the match. When you talk about the three-fall, you are making reference to the best two out of three. Another way to lose matches is by submission. This can only happen when they are taken into a submission hold by their opponents. Such a hold means having them in a position that is very painful. When this happens, the wrestler will be the person to invite the referee and send a signal to them that the pain is too much and that they can’t continue. When a hold on a wrestler makes them unconscious, they are assumed defeated too. People can also lose through disqualification. This is centered on a lot of rules. This could include being outside the ring for too long, being assisted by another wrestler, importing a foreign object and many others. However, in some cases, the WWE world does not consider disqualification as a loss. It should be noted also that the standard time duration for a match is 20 minutes. But some may last longer while others may not last up to that. Worthy of note also is the fact that tag team matches have their own peculiar rules that may be quite different from what is obtainable in the single matches. Rocky Balboa is by far the most well remembered screen characters when it comes to Hollywood movies based on boxing. Sylvester Stallone played the role of the Philadelphia boxer for the first time in the year 1976 and thereafter in 5 more Rocky movies in the series; the last one being the Rocky Balboa in the year 2006. Playtech, the reputed online casino games developer has done a phenomenal job at bringing the legacy of Rocky movies to the online slots, in the form of the Rocky slot game. When it comes to the online pokies loved by boxing enthusiasts throughout the world, there’s none that comes closer to the popularity of Playtech’s Rocky. Rocky, the online slot game features 25 pay lines and 5 reels. The music has been picked straight from the popular Rocky series (here’s some more info on the man behind the Rocky’s theme tune). The basic symbols on the reels are the letters of the game’s name – R, O, C, K and Y, each one of them decorated with stripes and starts. ​One of the main highlights of the Rocky online slot are its higher value symbols that are the images of several different characters from the Rocky movies, including Apollo Creed, Ivan Drago, Rocky himself, Adrian, Clubber Lang and Paulie. The wild symbol is the Rocky image, and the scatter symbol is represented by the Italian stallion logo. The bonus symbols are shown by red and white coloured boxing gloves. This particular bonus feature adds that extra bit of excitement to Rocky’s basic gameplay. You can win 5 times the total bet amount if you successfully get letters R, O, C, K and Y on slot’s reels from left to the right. There is no role of pay lines in this bonus feature and the corresponding letters nicely click into their respective horizontal place once you land this combination. This bonus is in the form of a mini game that gets activated whenever you land a red boxing glove on the fifth reel and a wide boxing glove on the first reel of the slot. Once you reach this bonus round you’ll get to select Rocky’s opponent and fight him in a 10-round match that always ends with Rocky knocking out the guy. You win cash prizes only in the rounds that you win in this mini-game. On some occasions, you’d see Rocky knocking out his opponent well before time. When that happens, you’d be paid the prizes for all the unfought rounds as well. Anytime you get 5, 4 or 3 Italian Stallion scatter symbols on any of the reels, you’d win 25, 20 or 15 free spins respectively. What more, you’d also be awarded a 2x multiplier for every amount you win through the spins. Furthermore, there’s also a chance that you might win more number of free spins if you land more scatter symbols during the free spins. ​Final wordOn the whole, Rocky online slot game is a really crisp title from Playtech who have done an excellent job at bringing the epic movie franchise to the online casino industry. It’s a fine tribute to Rocky that made Sylvester Stallone the star he is today and broke all box office records in its time. Successful boxers have been coming out of the Philippines since Spanish presence, and Rogen Ladon is no exception. Born November 10, 1993, for Ladon, boxing runs in the family as his brother, Joegin Ladon, is also an international boxer. Rogen first took up boxing in 2007 and within a year, he won a bronze medal in a national championship in the 46kg category. He returned a year later to take the gold in the same weight class. Spurred on by that success, he then entered intensive training programs to prepare himself for the Hong Kong International Championship. All the hard work paid off when he walked away with gold in 2011, having matured and bulked up to 49 kilos. His winning streak continued the following year as he won first place in the Taipei City Cup with a KO in the third round of the quarterfinal against Chiu Po Wei (TPE) followed by a win against Huynh Ngoc Tan (VIE) in the semis (11:6). In the final bout, he faced off against Kenshiro Teraji (JPN), with a final score of 19:10. With those wins under his belt, his fitness and confidence soared and he entered several competitions over the next few years in his bid to go to the World Championships. In 2013, his most successful championship was on home turf in the Filipino National Games where he beat compatriot Bernardo Joerines WO in the final to take the gold. He seemed to be on track and his matches started appearing on worldwide competition boards as he started to emerge from obscurity. However, this year, other championships weren’t quite as successful as he only managed to rank 5th in the ASBC Asian Continental Championships in Jordan after he lost 2:0 to Kazakhstani Temirtas Zhusupov in the quarterfinal. He then came in 6th in the Korotkov Memorial Tournament in Russia after losing to Indian Thokchom Singh in the quarterfinal. Bowing out again in the quarterfinal, he finished 7th in the Sidney Jackson Memorial Tournament in Uzbekistan after losing 2:1 to Komol Meliyev. In 2014, the heat was on to step it up and Rogen really pushed himself. In the Lion’s Cup in Sri Lanka, he managed a third-place spot after losing to Eranga Madushan S.P. Gamage (SRI) in the semis, but once again, proving his worth on home turf after coming in second place in the Filipino Box-offs of the Asian Games. As the tensions increased, so did input from coaches Pat Gespi and Nolito Velasco, who guided him through the tumultuous ups and downs of the next two years. For most of 2015, Ladon was on form, fighting in major international championships with sound results. He came in second in both the ASBC Asian Confederation Boxing Championships in Bangkok and the Southeast Asian Games in Singapore. However, it was his bronze in the AIBA World Boxing Championships was the pivotal moment, though, as it meant that he missed out on qualifying for the Rio Olympics. His grief was palpable and he burst into tears. Then, just five months later at the Tangshan Sports Centre, tears of sadness were replaced by those of joy as his positioning in the AIBA Asian/Oceanian Qualifying Event meant that he had earned himself a place on the Olympic berth. Sadly, this high was followed by a second-round loss to Zhomart Yerzhan in the AIBA World Boxing Championships, but a bronze in the 2017 Asian Amateur Boxing Championships means that his Olympic career is far from over. But it’s safe to say, we can all look forward to future calm but impassioned fighting from the Pinoy pug, ranked number three in the world. UK is a country that has always been well-known for its betting culture. If you’re a UK resident or are someone who has visited the country at some point of time you would know how there’s hardly anyone there who has never punted or taken a chance on something he/she follows closely. That’s also the reason why services like SBAT betting tips are extremely popular in the country. People who get lucky with their boxing bets win not just thousands, but often millions of pounds; they quit their jobs to lead king-size lives! You can find betting offices at almost every street in the UK. These places get over-crowded with fans whenever there is a big boxing bout. Fans often try to predict the scores and results of these fights and actively bet at various online/off-line platforms, to make the most of their love and knowledge of the sport. Of late, a large number of bookmakers have moved their operations to the Internet, as there are significantly more number of boxing betting clients online. Online bookmaking serves as an excellent platform for them as they don’t have to bear the overheads of brick-and-mortar establishments. Furthermore, considering the extreme climatic conditions UK can experience from time to time, boxing lovers often prefer sitting at home and placing online bets from within the comfort of their premises. However, it cannot be denied that there are a large number of scammy websites on the Internet as well. This is especially true in case of bookmaking services. Fraudulent entities can create new bookmaking portals, make them appear like the real thing, often misusing the logos and trademarks of popular betting brands, and accept bets from a great multitude of uninformed sports bettors. Such entities work in a very quick manner and their website disappears as soon as they have gathered a certain sum of money. Even if you trace their IP addresses or try to locate them in some way, chances are high that you’d never be able to get your money back. The onus is on you to verify the authenticity of a boxing bookmaker. You should look at the company’s logo and verify it from Google. They should clearly display their contact details, phone numbers, email address, user feedback etc. on their website. Furthermore, there should be some actual person from the website you could speak to over the phone. ​Try working with an online boxing bookmaker that has a long history of honouring its payments. Perhaps you could do some online research and figure out their authenticity. Another thing you must keep in mind while placing any boxing bets is to ensure that the website offers you a secure connection to make any money transfers. First and foremost, their website’s URL must start with a https. Apart from that, the payment gateway used by them must offer a high level of security. Love boxing?! You’d love these boxing themed slots too! Although as an Asian Boxing fan, you may or may not be the kind of person who’d indulge in things like online slot games, what’s wrong in taking a chance every once in a while?! After all, it takes only a few cents, and if Lady luck shines on you, you may never have to work again in your life! Having said that, keeping your interest in boxing in mind, let’s introduce you to some of the most popular and well-paying boxing themed online slot games. One of the best places to indulge in these and many other games is the real money online casino at All Jackpots. On to the slots now! ​An online slot game developed by NetEnt (Net Entertainment), this one is available for both mobile as well as desktop environments. It’s supplied by the same company that’s behind some of the highest paying online slot machines in the business. As it’s meant for online gaming, you can access this game from anywhere you like, as long as you have a working Internet connection. This is another online slot game that is a huge favourite of boxing and gambling fans throughout the world. Aptly titled as ‘Heavyweight Champion’, you get a chance to win a jackpot of around 15,000 coins, spinning reels featuring various boxing -related symbols. One of its distinguishable design aspects is that it’s compatible with almost every single web browser out there on the Internet, and you’re not required to download any software to play it online. Furthermore, its available at all popular online casinos that feature iSoftBet Gaming products. Anyone who knows even a little bit about online casino gaming would be well aware of Microgaming, a leading developer of casino games for the Internet. Fighting Fish online slot is one of their more popular offerings. It’s bonus games, despite being a little unusual, are counted amongst the best in the business. They have some very high value pay outs on offer, even at low stakes. So anyone serious about winning big money by betting less must definitely give Fighting Fish a try! Rocky Balboa is here again! If you’re a boxing fan, it’s impossible that you haven’t seen any of those Rocky films yet. And if you did see and liked those Sylvester Stallone blockbusters, there is no way you are not going to like this namesake slot game, which apart from entertaining you, also holds the potential to deliver huge pay outs. Sometimes the bookies get it wrong. I believe one such case is the February 22nd bout between Miguel "Titere" Vazquez and Denis Shafikov. That bout sees Vazquez currently a clear favourite priced at around 1/2. If bouts were won and lost by how well a fighter was known then that would be a great price. Instead though bouts are fought in a ring and being a known fighter doesn't give you a nailed on victory. Vazquez, for all his skills, style and movement is a fighter who looks against certain fighters and awful against others. Put Vazquez in with a crude puncher, like Ji Hoon Kim, Breidis Prescott or Ameth Diaz and he will do as he pleases. Put him in with a clever pressure fighter though and he struggles, as we saw against Marvin Quintero. Shafikov, like Quintero, is a short, stocky southpaw who brings intelligent pressure a decent work rate and a real hunger. Unlike Quintero however Shafikov is teak tough and won't mind taking a few of Vazquez's shots to land his own. With the Quintero fight in my mind and also the fact that Vazquez has been out of action for over a year I can't help but put my money on Shafikov at 9/4.